Last week, Royal Caribbean announced some board re-elections, some of which are interesting in terms of their connections. At the same time, Carnival Corporation & Plc announced its latest contribution to the Chinese market. The stories follow here. Royal Caribbean Cruise Line was formed in 1967 by two Norwegian shipowners, IM Skaugen & Company and Anders Wilhelmsen, with the help of Miami-based entrepreneur Edward Stephan. The new cruise line was to start with two ships, but a third Norwegian shipowner, Gotaas-Larsen, soon joined them to contribute a third. Stephan wanted the ships to be easily recognizable, the result of which the Viking Crown Lounge. Skaugen’s Song of Norway was delivered in 1970, Wilhelmsen’s Nordic Prince in 1971 and Gotaas-Larsen’s Sun Viking in 1971. Meanwhile, in 1969, Gotaas-Larsen acquired Eastern Cruise Lines and by 1972 had introduced its largest ship, the 24,458-ton Emerald Seas. Although Gotaas-Larsen was involved in both Royal Caribbean and Eastern, any conflict of interest was avoided by leaving the 7- and 14-night cruises to Royal Caribbean while Eastern looked after the 3- and 4-day market. Ultimately, a merger of Eastern Cruise Lines, Western Cruise Lines and Stardance Cruises resulted in the formation of Admiral Cruises in 1986. Through a series of ownership changes, including a Carnival bid, Gotaas-Larsen and its third interest in Royal Caribbean and 51% interest in Admiral, in 1987 Wilhelmsen had taken control of Royal Caribbean, and both Gotaas-Larsen and Skaugen left the scene. In the meantime, the Chicago-based Pritzker family, owners of Hyatt Hotels, were added to the fold. Admiral Cruises was taken over in early 1992 by Royal Caribbean, which decided to sell its older ships and to complete the 48,563-ton Nordic Empress, the first ship designed and built specifically for the Florida-Nassau short cruise market since Henry Flagler’s Miami of 1898. The most obvious Royal Caribbean director with shipping experience is chief executive officer Richard Fain, a director now for thirty-five years, who came to Royal Caribbean from Gotaas-Larsen, for whom he had been based in London in the 1970s. As well as its interests in cruising, Gotaas-Larsen operated a large fleet of dry cargo, refrigerated ships and tankers. 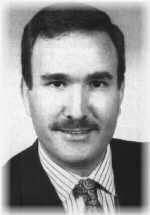 Fain became Royal Caribbean’s chief executive officer in 1988. Directors John Brock, Eyal Ofer, William Reilly, Vagn Sørensen and Alex Wilhelmsen were all re-elected to one-year terms at Royal Caribbean Cruises’s annual shareholders meeting last week. The Royal Caribbean board had approved a plan to replace staggered terms for directors with annual election during its meeting in September 2013. Alex Wilhelmsen, on the board since 2003, is a family member of one of the three founding companies and chairman today of Awilhelmsen AS, the present holding company. While for many years operating car carriers, Wilhelmsen’s shipping interests now include by Awilco AS, presently operating crude oil tankers and five LNG tankers, managed by Wilhelmsen Marine Services, and two semi-submersible drilling rigs. Awilhelmsen and its associates have a 19% share in Royal Caribbean Cruises Ltd.
Eyal Ofer, a director since 1995, is one of the two sons of the late Sammy Ofer who have inherited Sammy’s wide-ranging shipping interests. Together with the Pritzkers, the Ofers invested in Royal Caribbean to fend off Carnival’s bid for the Gotaas-Larsen shares in 1988. Ofer is today chairman of London-based Zodiac Maritime Agencies, which operates a fleet of 150 ships, including both container ships and bulk carriers. Vagn Sorensen, appointed in 2011, is also deputy chairman of DFDS Group as well as a director of Air Canada and former chief executive officer of Austrian Airlines, and before that executive vice president of SAS, all three of which are Star Alliance members. DFDS at one time had interests in the cruise business but now restrict themselves to cruise ferries, with night boats operating on key routes such as Newcastle-Amsterdam, Harwich-Esbjerg and Copenhagen-Oslo. Other members of the board bring in a wider experience of American culture. For example, the only female board member, Ann Moore, appointed in May 2012, is a former chairman and chief executive officer if Time Inc. and is also a director of Avon Products, while John Franklin Brock, appointed earlier this year, is chairman and chief executive officer of Coca-Cola Enterprises and previous to that headed up brewers InBev and prior to that was chief operating officer of Cadbury Schweppes. While John Brock’s directorship is not about shipping, Royal Caribbean International announced a partnership with Coca-Cola to bring the excitement of the most prestigious soccer competition in the world to its fleet with The Coca-Cola Party at Sea celebratwses the 2014 FIFA World Cup. The cruise line will host the official Coca-Cola Party at Sea complete with broadcast units. 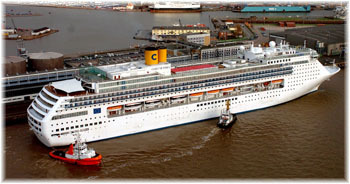 Carnival’s Costa operation will send a fourth ship to China next April. To be based in Shanghai, the 3,004-berth Costa Serena will offer a range of five- and six-day cruises to various destinations in Asia, including Japan and Korea. Joining the 1,928-berth Costa Victoria and the 2,112-berth Costa Atlantica in China, the vessel’s deployment will make Costa the first foreign cruise line to base three ships in China year-round. 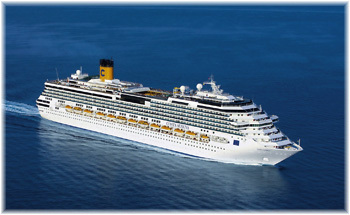 Costa Cruises was the first outside cruise line to operate in China and has already experienced eight years of successful operations. 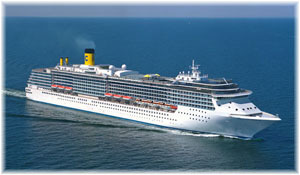 The Costa Serena features a large Samsara spa, 4D cinema, Grand Prix Simulator, water slide, theatres, casinos and a disco. Her 2015 deployment will also make the line’s parent company Carnival Corporation the first global cruise company to base four ships in China. Capitalising on the growing consumer demand that is expected to make China the second largest cruise market in the world by 2017, Carnival is also deploying Princess Cruises’ Princess Sapphire in Shanghai from 21 May to 3 September this year. Expected to carry 65,000 passengers on round trip cruises over the fourth-month period, Sapphire Princess will offer guests the only 24-hour buffet at sea in China, Tai Chi and Zumba. “Carnival Corporation has for years recognised that Chinese travellers would love the cruising experience and that is why Costa Cruises was the first global cruise line to commit to sailing from China back in 2006,” said Carnival Corporation ceo Arnold Donald. In addition to investments in China, Carnival aims to extend its growth in Japan, Singapore, Hong Kong, Taiwan and Korea. As well as Costa and Princess, AIDA Cruises works out of Asia. Carnival operates ten Asian offices in Asia including five in China – Shanghai, Beijing, Tianjin, Guangzhou and Chengdu.